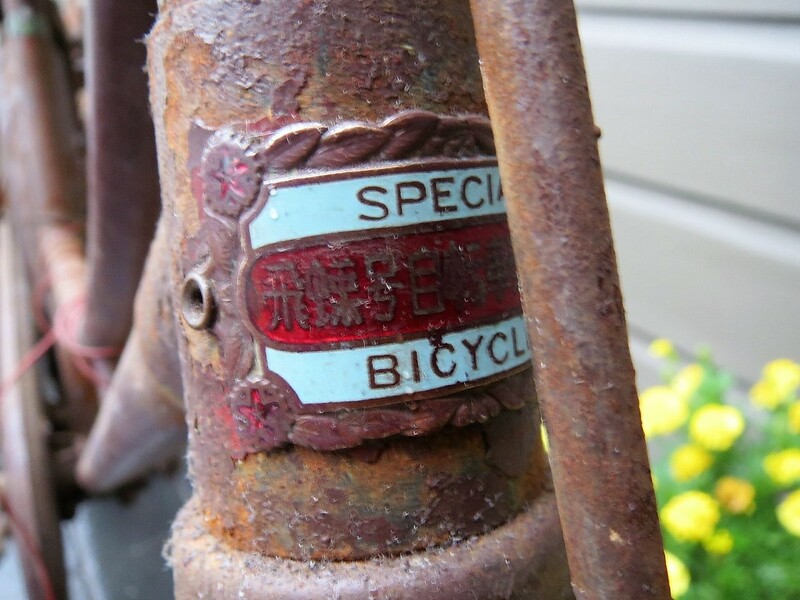 Here is a vintage bicycle with all the characteristics of a genuine Japanese bicycle from the 1950's, but may have actually been manufactured in China. 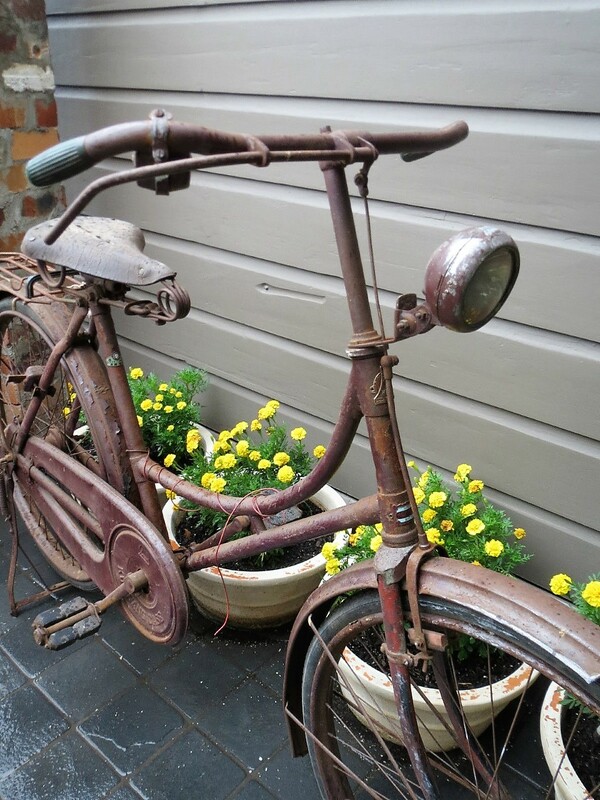 The owner V-san is a vintage bicycle enthusiast from Australia, and is in the painstaking process of breathing new life into this two wheeled antique. 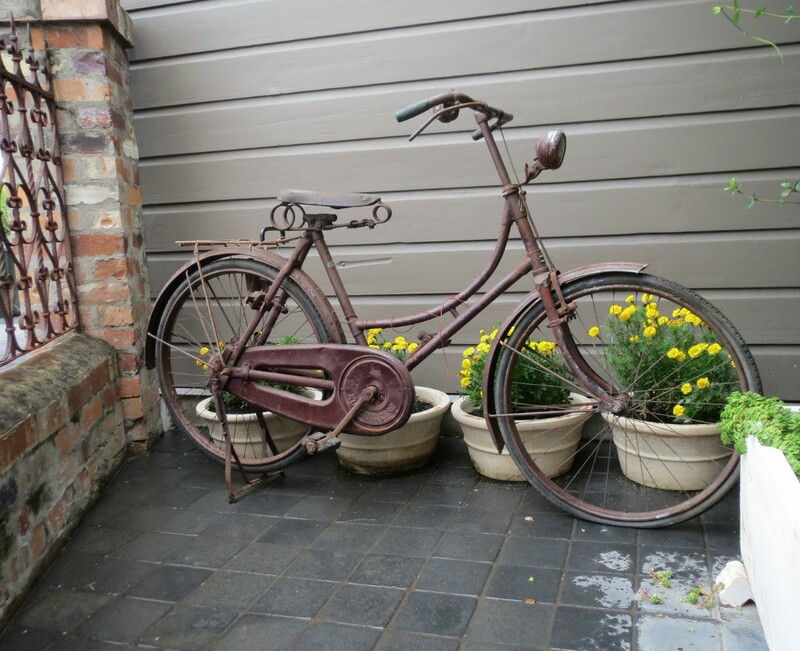 The story behind this bicycle is that it belonged to an elderly gentleman who purchased it new in China, and, brought it to Brisbane, Australia in the 1960s when he emigrated. 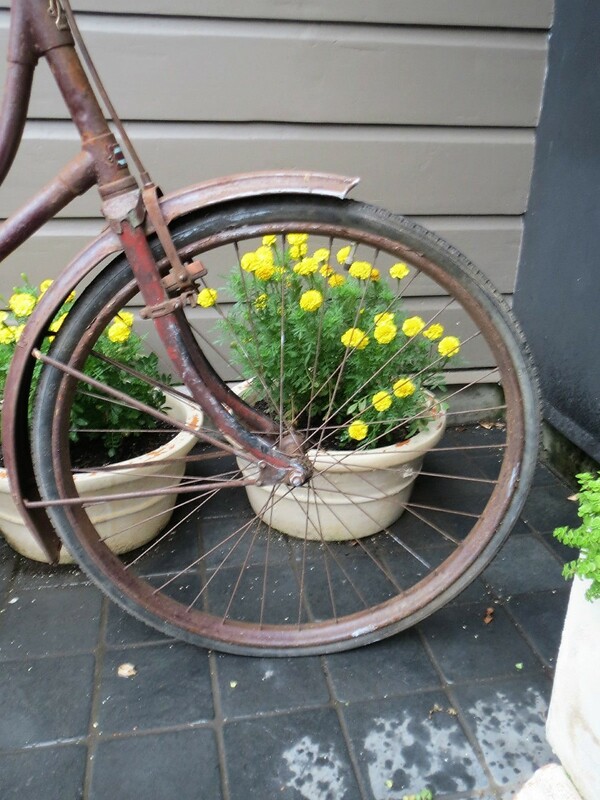 It has a 20-inch frame, 26-inch tires and was originally black. 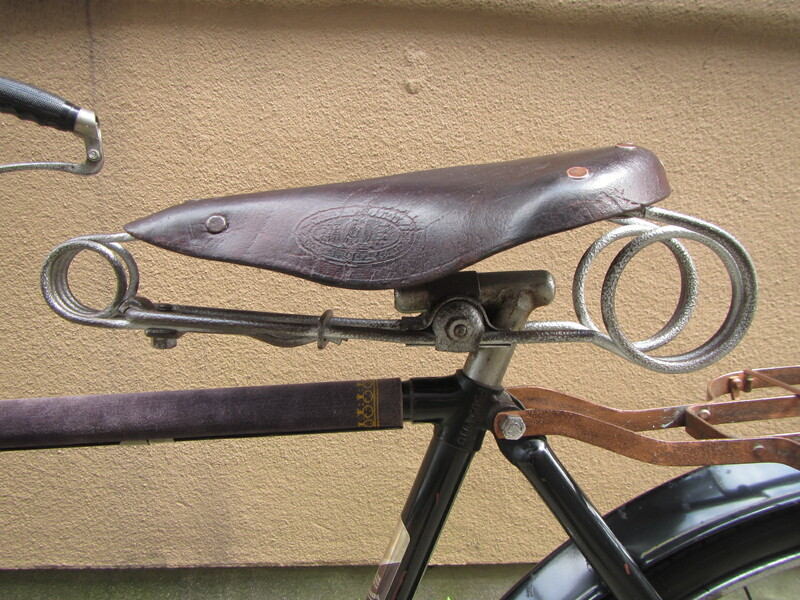 One rod brake handle on the right, indicative that it is equipped with a rear coaster brake. 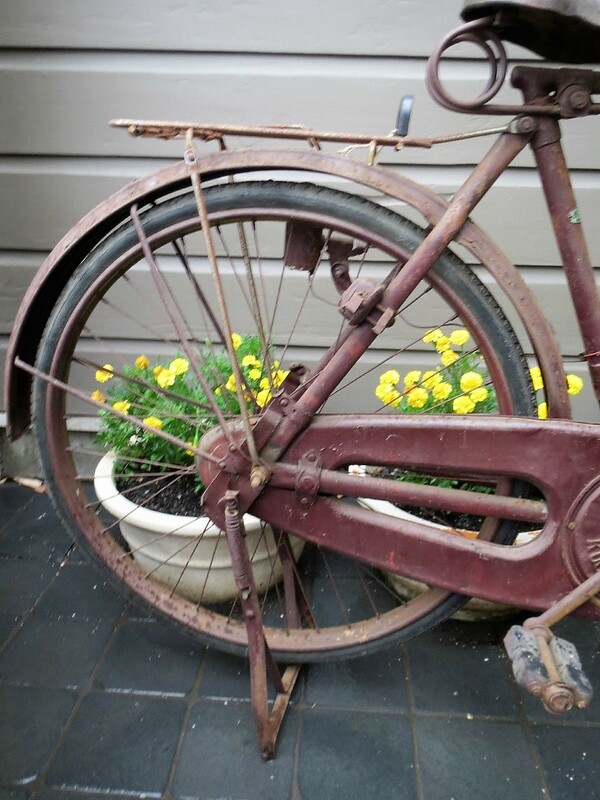 Long head tube typical of 1950's or earlier bicycles. 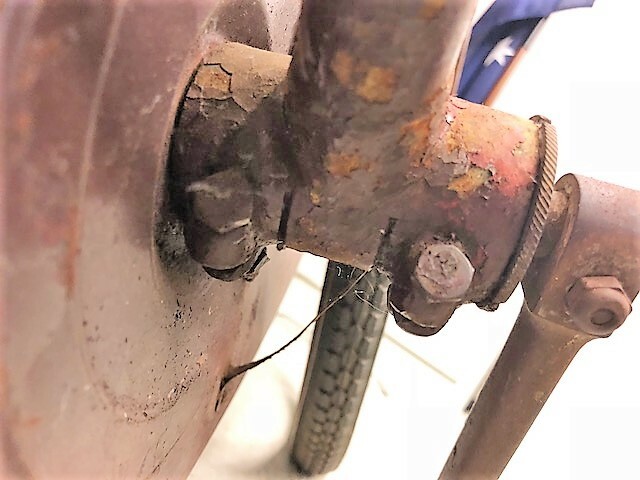 The front fender does not appear to have holes for a fender ornament. 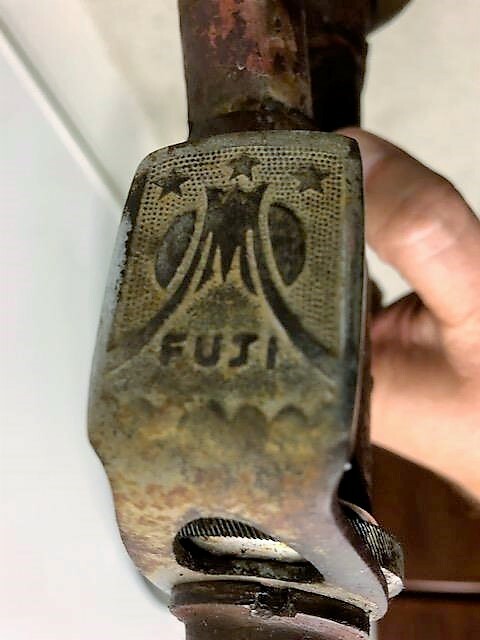 The fender stays are all stamped with what at first glance appears to be a Nichibei Fuji logo. 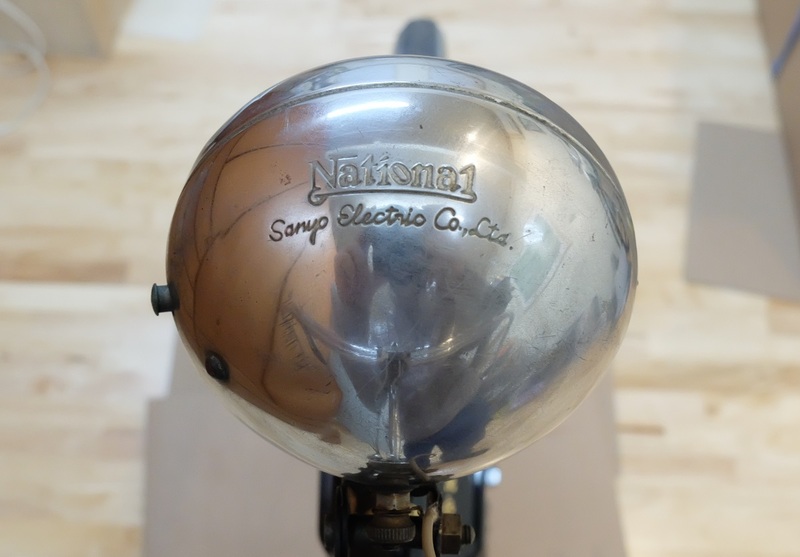 Lamp appears to be an original and is consistent with bicycle history as Sanyo Electric Co. was incorporated in 1947 and produced lamps for National. 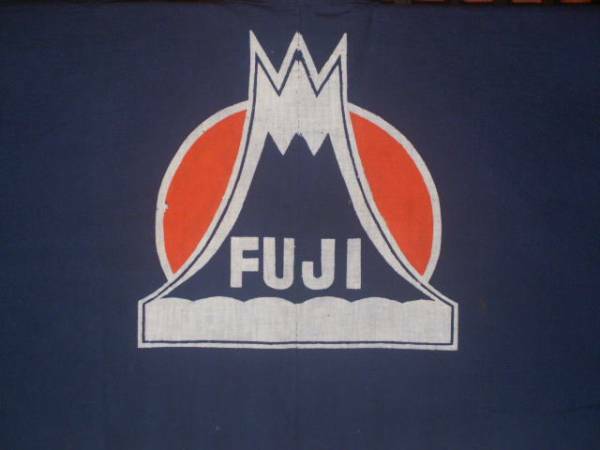 Several parts are stamped with a slightly suspicious "Fuji" logo. It does indeed bear a striking resemblance to a genuine Fuji lamp bracket ; however, the three stars are an unfamiliar addition. The head tube bears two badges. 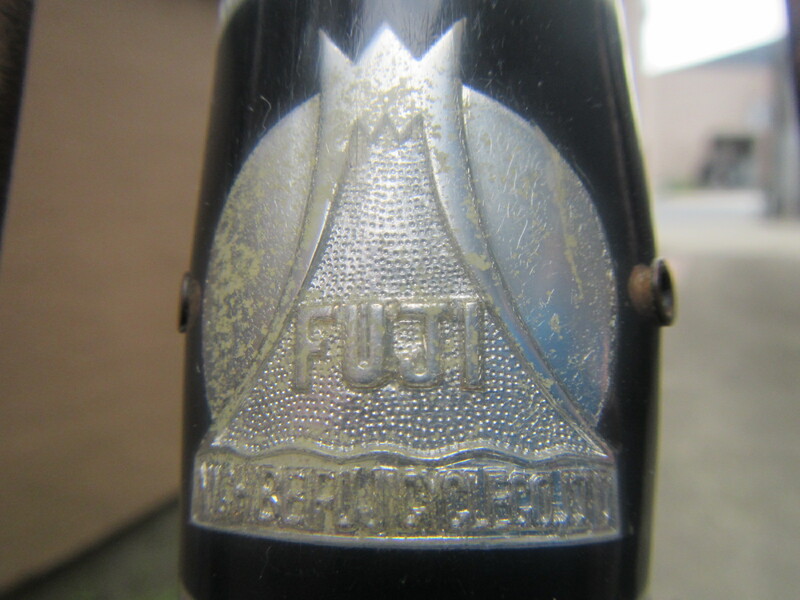 The first badge, at the top of the head tube, at first glance resembles the a Nichibei Fuji head badge. However, upon closer examination is actually a butterfly facing downward. The model name is HICHO written with the characters (飛蝶＝Flying butterfly). 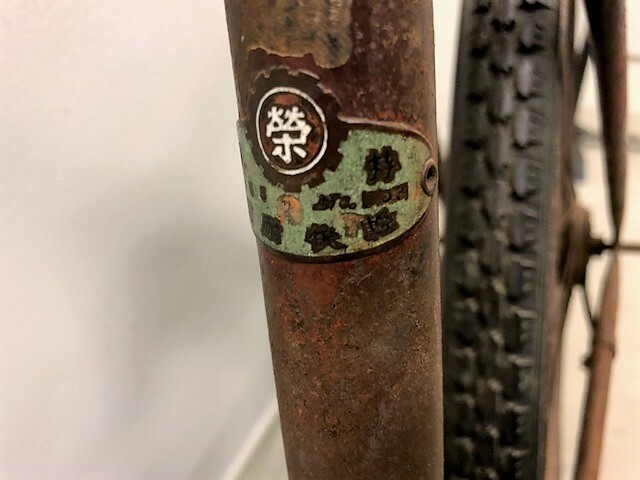 The second badge at the bottom of the head tube is cloisonné which is consistent with Japanese bicycles from 1950's or earlier. However, each corner bears a star, not commonly found on Japanese badge designs. 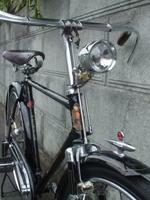 It is puzzling as the badge bears the characters read from left-to-right 飛蝶号自転車. 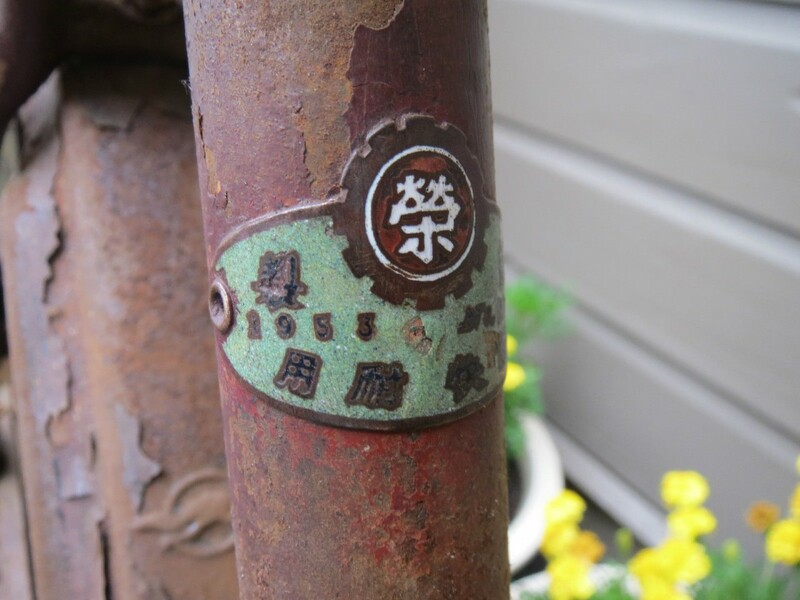 The characters to write "bicycle" in Chinese and Japanese are different. In Chinese 自行車、in Japanese 自転車. 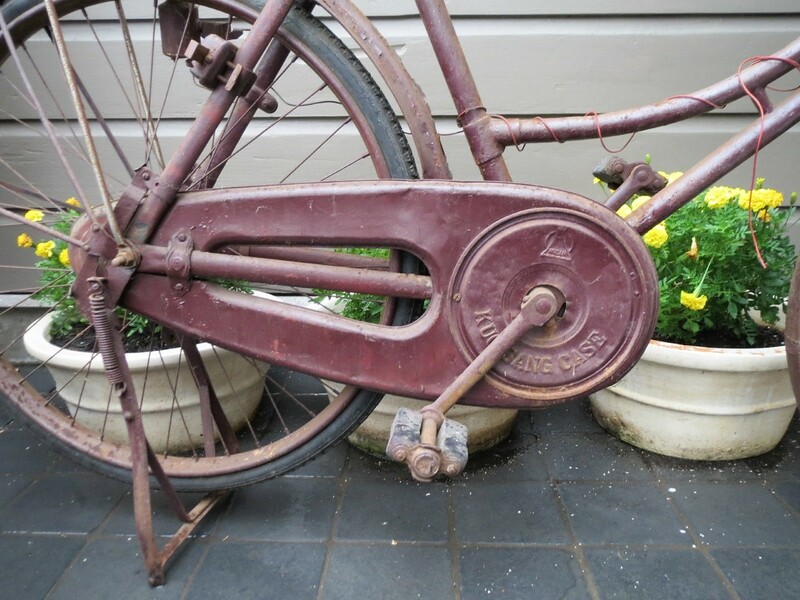 If this is a Chinese manufactured bicycle, why the Japanese version? 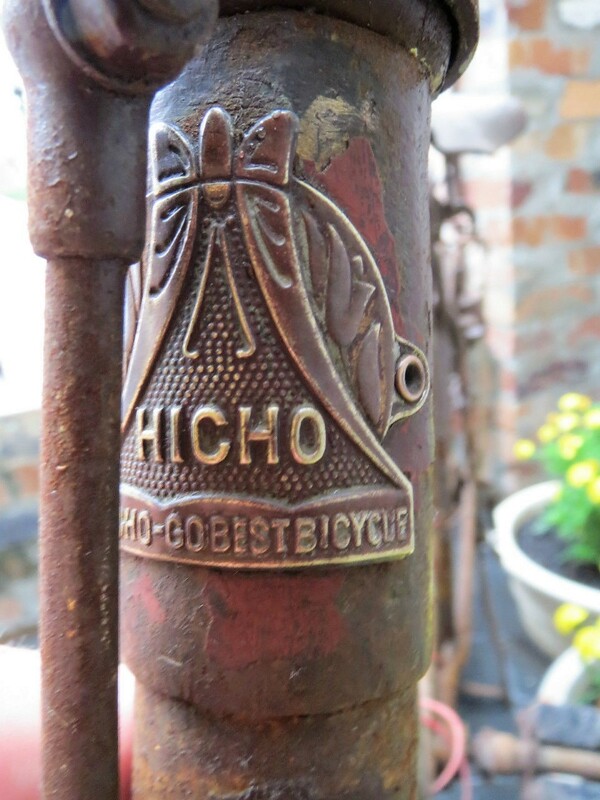 The seat tube has a single badge. These characters are read the old way, right-to-left, but for the sake of simplicity I will render them in the left-to-right order. The large single character in the middle is the character for "prosper". The top row is 特製 (deluxe), the middle row is only partially decipherable 1953 No. ??? ?, and,　I surmise that ｔhe bottom row may be 軽快耐用　（light & durable). 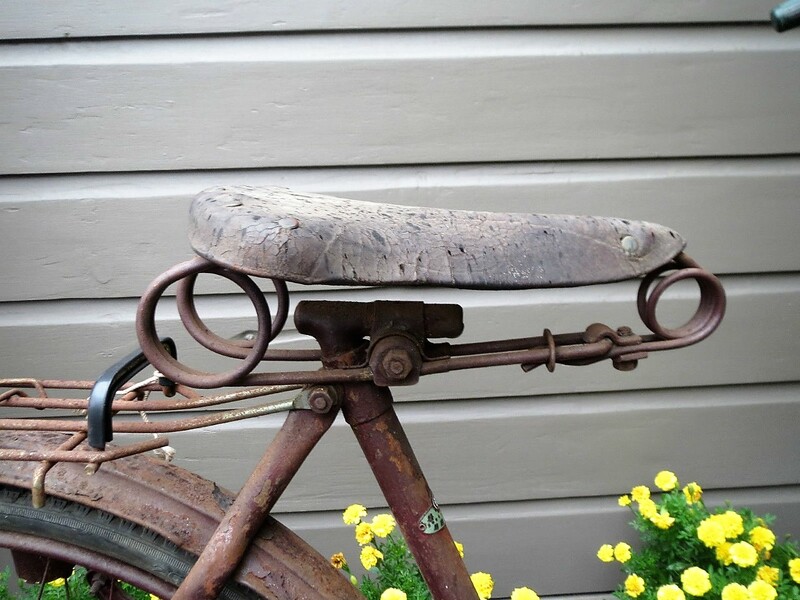 The saddle is a hammock-style leather saddle consistent with those produced in the 1950's or earlier. The chainwheel cover has two stamps. The at the top, once again at first glance, bears a striking resemblance of the Nichibei Fuji mountain logo. 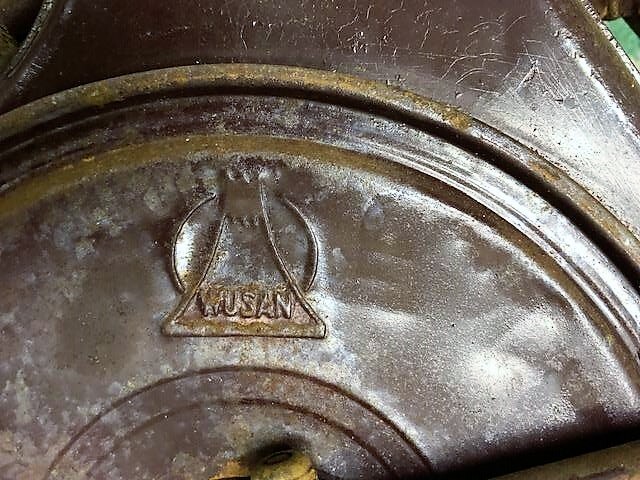 However, upon closer examination, instead of "FUJI", has "WUSAN" stamped on it. 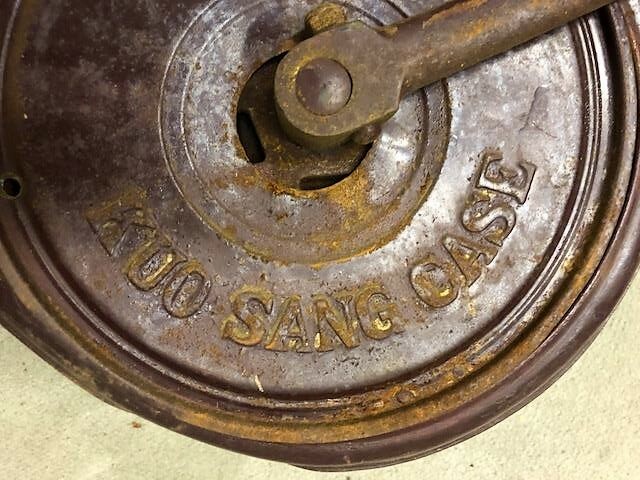 The bottom is stamped "KUO SANG CASE. 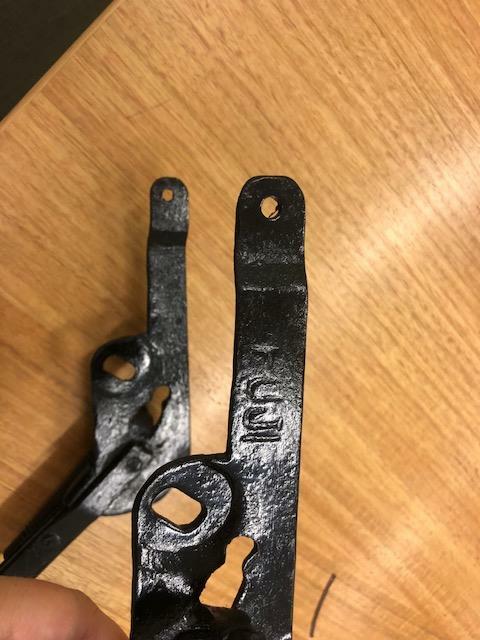 Not a Japanese chaincase manufacturer. 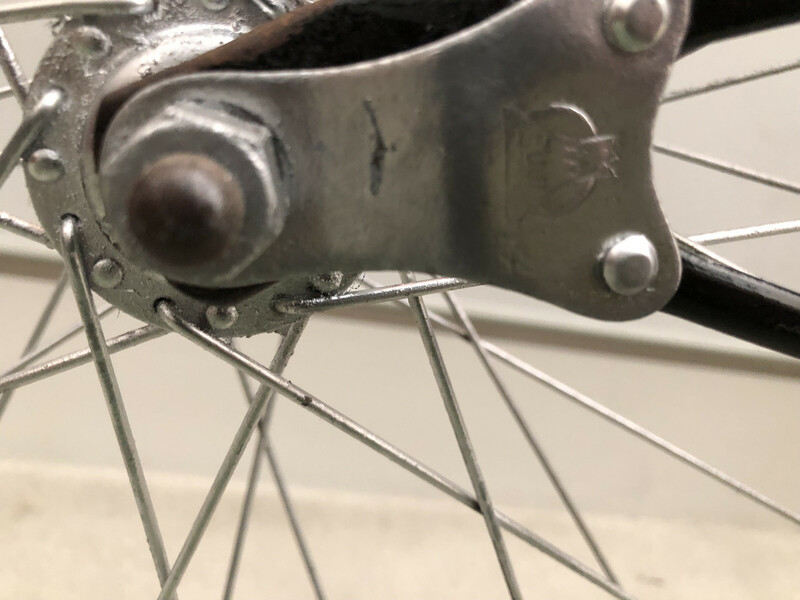 The bottom bracket is cottered which is consistent with 1955 models or earlier. 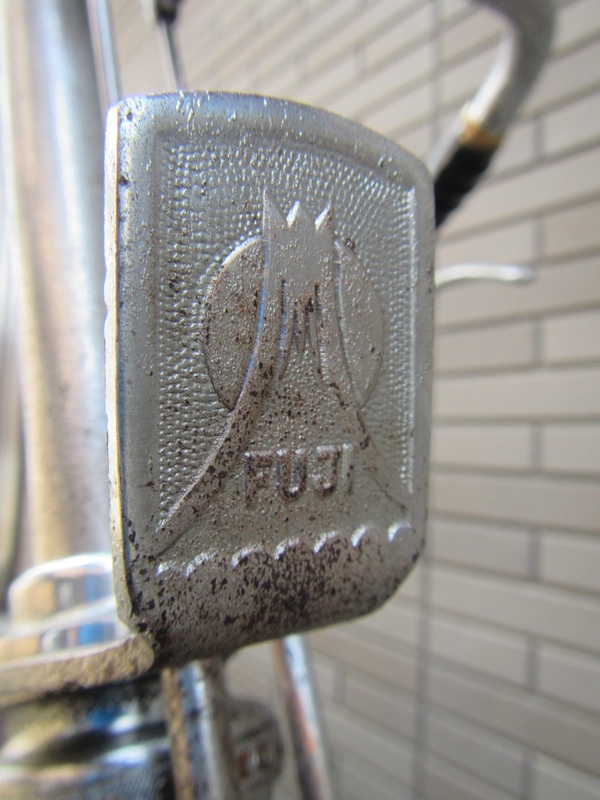 The rear stand is a channel-style stand standard for all Japanese bicycles and is even bears a "FUJI" stamp. 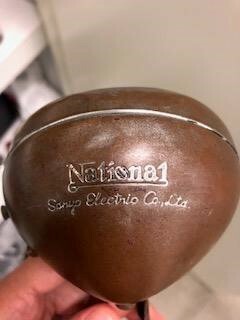 I know there are many vintage Flying Pigeon collectors out there.